On April 20, 2016, Javier Regalado, a construction worker at the Division Street construction site in New York City, lost his life after falling down an elevator shaft. A similar incident occurred on April 1, 2016, when a construction worker, Alex Santizo, fell through an open shaft after being hit with falling debris. Construction sites can be extremely dangerous, and accidents at these sites can happen suddenly and without warning. 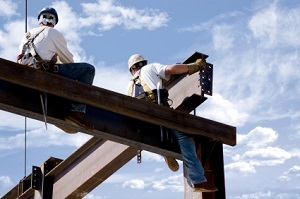 Workers may suffer catastrophic injuries that have a dire effect on them and their families. There are a variety of parties who may be liable for a construction worker’s injuries suffered during a construction accident. Parties who are commonly found to be liable for construction site injuries include: Site owner, Management companies, General contractor, Subcontractors, Manufacturer of faulty equipment or tools, Manufacturer of defective safety equipment. In many cases, these negligent parties may be held strictly liable for your injuries. New York laws provide significant protections to injured construction workers so that they are fully compensated for their injuries and can take care of their families financially. At Tenaglia & Hunt, we will fully investigate the circumstances surrounding your accident and discover all of the negligent and potentially responsible parties. Whatever type of construction accident you were involved in and whatever type of injury you sustained, we are ready to help you recover for your medical bills, lost wages and other damages. So you can sleep soundly knowing that your family is taken care of properly despite the difficult times you are facing.